Pick Analysis: 2014: Started all 12 games. 2013: First-team All-Conference USA. Started all 13 games. 2012: Honorable mention All-Conference USA. Freshman All-Conference USA. Published: May 2, 2015 at 03:06 p.m. The Denver Broncos pick Tulane cornerback Lorenzo Doss No. 164 in the 2015 NFL Draft. 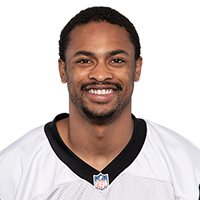 Published: March 19, 2015 at 01:12 p.m.
Checkout Tulane University defensive back Lorenzo Doss workout at the 2015 NFL Scouting Combine.